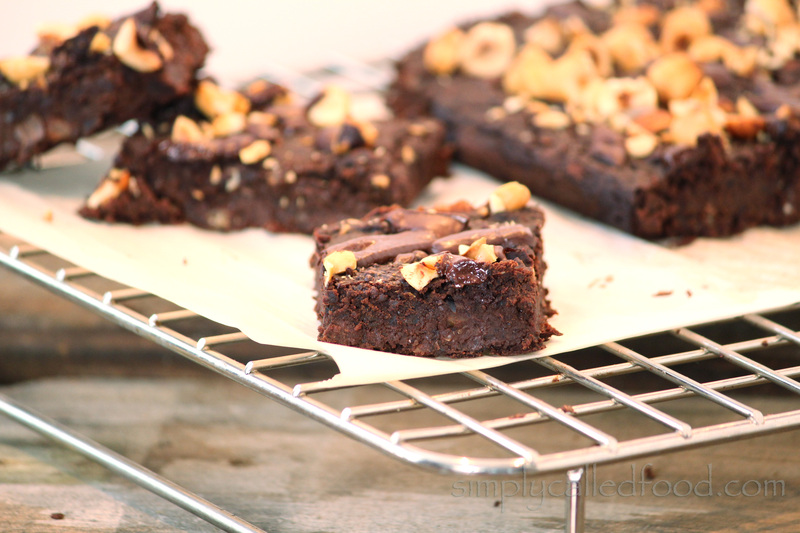 Decadent black beans brownie | Simply called "Food"
Happy New year everyone! I missed writing here, but I had so much to do in my house, I had to take a few weeks to finish up a few things, including arranging the dinning room to make it more functional for my photography studio. I am also a new contributor at Parade magazine’s Community table, which I’m very exited about. I’ll be making a weekly post that will be shown on their website. This recipe is grain free and contains almost no added fat, just a tablespoon of coconut oil, which makes this recipe “Guilt-free”! You can have it with a good conscience! You could probably use any bean as long as they have a neutral taste. Preheat your oven at oven at 375º. Grease or line with parchment paper a 9″ square oven dish. In a small bowl, combine the grounded flax seeds with 6tbsp. (90ml) of water. This mix will be your egg replacer. In a food processor, mix the black beans with 3 tbsp. (45ml) of water until you get a puree. If you use canned beans, you might not need to add water as they softer. In a medium bowl, mix the mashed avocado, the coconut oil, the vanilla, the almond milk and the brown sugar until you get a smooth texture. Add in the brown sugar, the almond flour, the raw cocoa powder, the baking powder, the baking soda the cayenne pepper and 1/4 cup (62.5ml) of chopped hazelnut. Spread the batter and cover it with the balance of the chopped hazelnuts and chocolate. Put it in the oven for 35 minutes. When you take it out of the oven, let it cool completely before you take it out. Cooking note: Put your raw hazelnuts on a cookie sheet in the oven at 350º for 10 minutes until roasted. This can be done with any nuts. Tags: Almond meal, Chocolate, dessert, Food, Gluten free, grain-free, Nuts, Recipe, Snacks, Vegan, Vegetarian. Bookmark the permalink. These are awesome! SO full of healthy delicious fats! Wow – what a good idea! 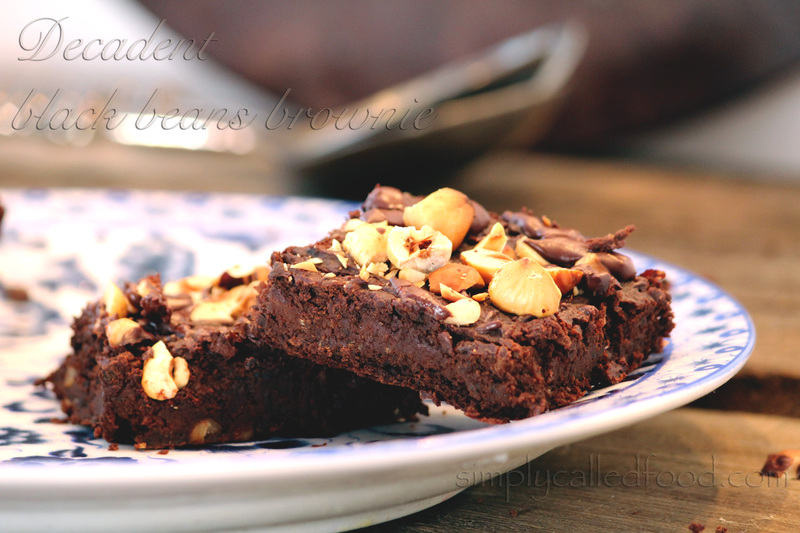 We love black beans and use them often, but I have NEVER made brownies with them. 🙂 Thank you for the recipe. I’m glad you like the idea. My goal by blogging is to give ideas on how to use all kind of food differently! Thank you for your comment! They were amazing and they didn’t stay for long!